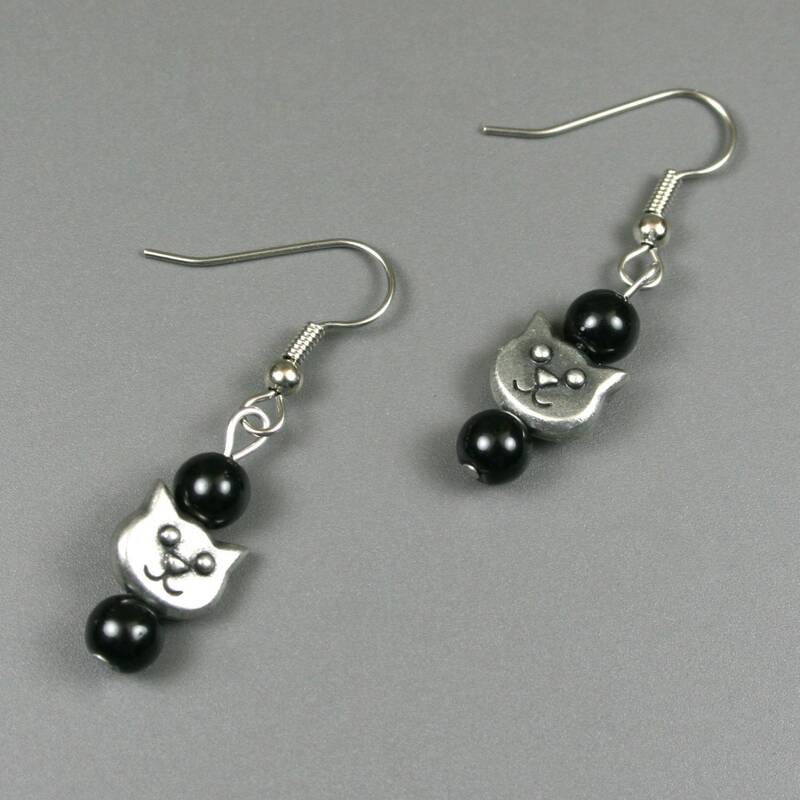 Each earring is made from an antiqued pewter two-sided cat face with 6 mm round obsidian beads above and below. 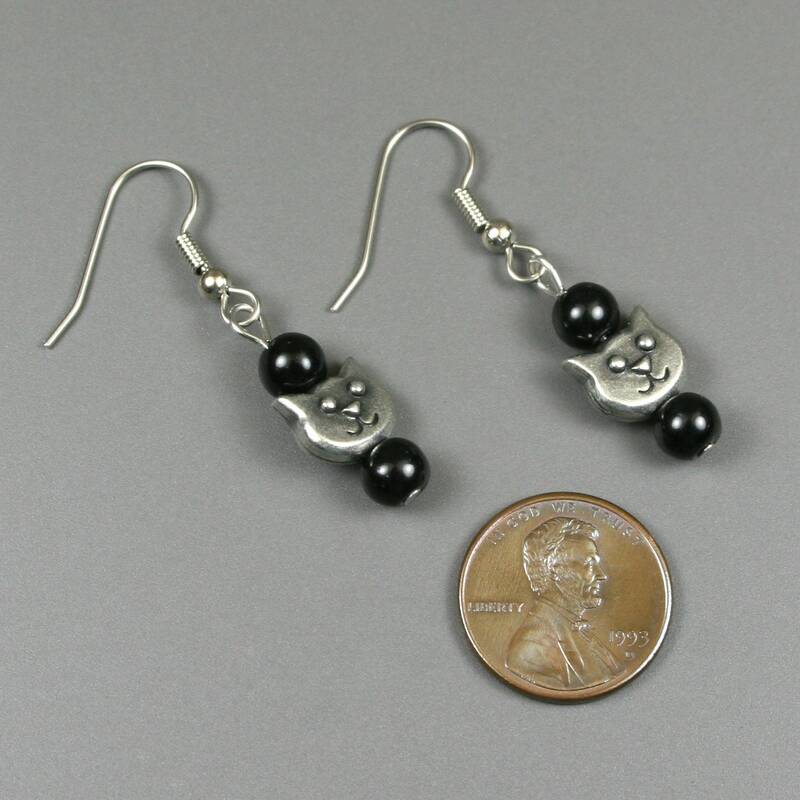 This set of beads is placed on a stainless steel headpin and dangles below a stainless steel ear wire. 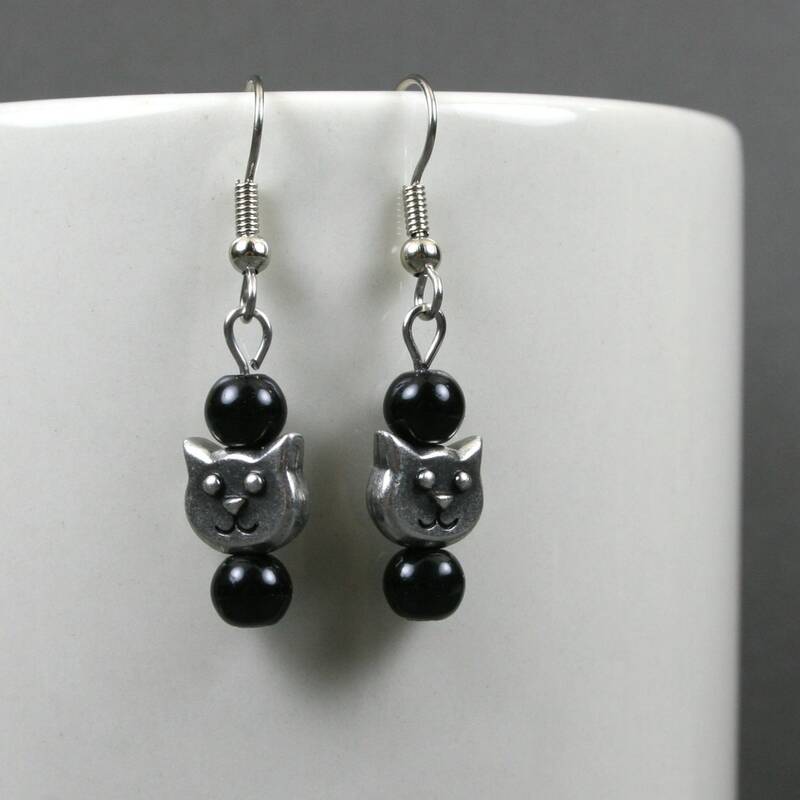 The bottom of the earrings dangle about 41 mm from the top of the ear wire. 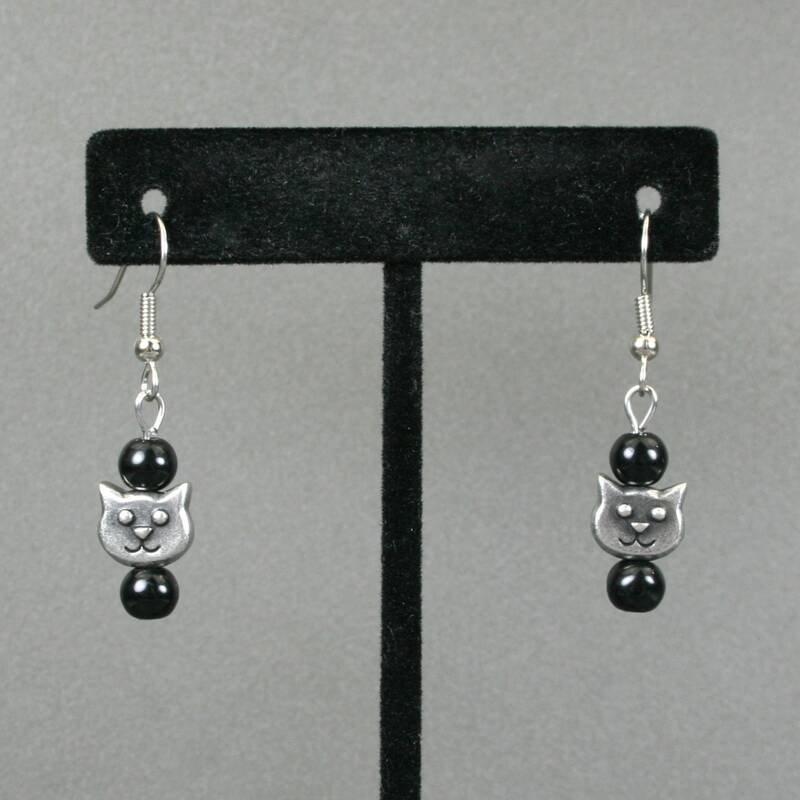 Obsidian beads are made from natural stone and are solid black. 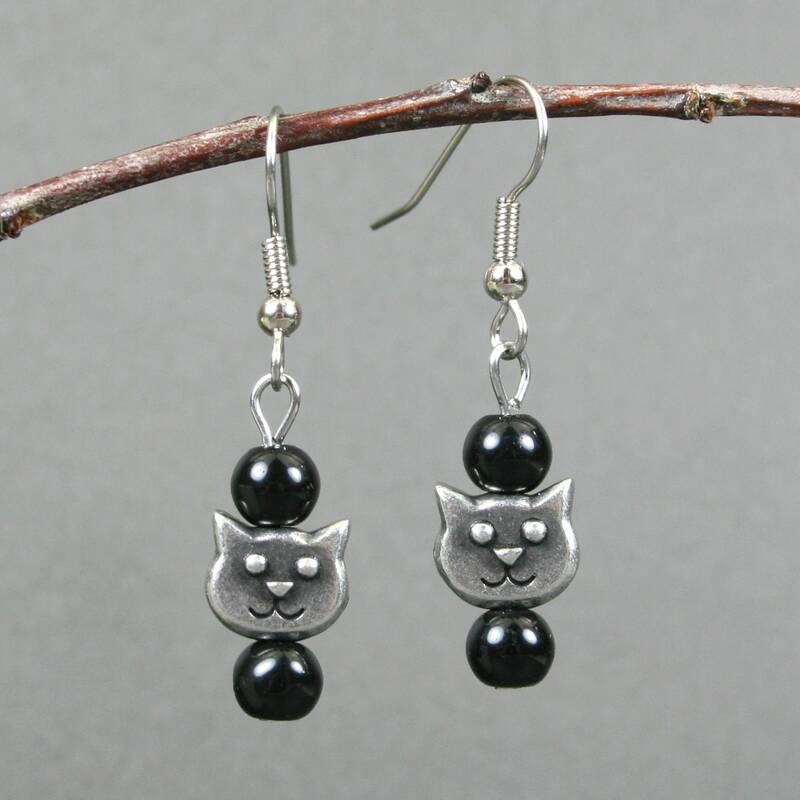 Obsidian is claimed to promote grounding, protection, and healing.